sicherha reopened T5193: Debian Stretch Repo as "Open". 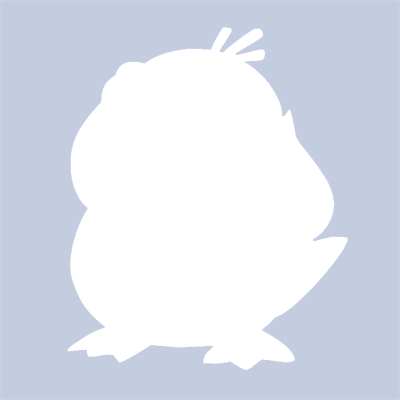 sicherha added a comment to T5193: Debian Stretch Repo. sicherha assigned T5193: Debian Stretch Repo to vanmeeuwen. sicherha accepted D668: Explicitly mention the rolling release model. sicherha added a project to T4548: setup-ds-admin, incorrect path: PyKolab. sicherha assigned T4653: Spam in Kolab wiki to vanmeeuwen. Unfortunately I don't have the permissions to delete or edit that page, even with my admin account. Assigning to @vanmeeuwen. sicherha added a comment to T4527: rRPK/plugins/kolab_2fa: QR code does not include secret. Sorry, I cannot easily downgrade to 1.3.8 to try stuff out on my system. May I ask which distro you are on and which version of Kolab you're using? Weird - I cannot seem to reproduce this issue on my Debian Stretch box with up-to-date Kolab 16 packages (roundcubemail 1.4-0~kolab53, roundcubemail-plugins-kolab 3.4-0~kolab57) and the Elastic skin. sicherha closed T4359: D'not updated kolab 16 as Resolved. sicherha created T4349: Package-signing key missing at https://ssl.kolabsys.com/community.asc. sicherha closed T4337: Package-signing key missing at https://ssl.kolabsys.com/community.asc as Invalid. Duplicate caused by Phabricator dying. sicherha closed T4340: Package-signing key missing at https://ssl.kolabsys.com/community.asc as Invalid. sicherha closed T4346: Package-signing key missing at https://ssl.kolabsys.com/community.asc as Invalid. sicherha closed T4349: Package-signing key missing at https://ssl.kolabsys.com/community.asc as Resolved. sicherha accepted D449: Kolab ActiveSync (Syncroton) configuration manual. sicherha closed D587: Enlarge sender and recipient columns in database. This change has already found its way into the repository. sicherha created D668: Explicitly mention the rolling release model. sicherha updated the diff for D662: Fix external links in installation guide. sicherha created D662: Fix external links in installation guide. sicherha abandoned D653: Scratch Kolab 18 from documentation. sicherha created D656: Add installation guide for Debian 9.
sicherha created D653: Scratch Kolab 18 from documentation. sicherha closed T3418: Website: link to git.kolab.org instead of issues.kolab.org as Resolved. sicherha added a comment to T3418: Website: link to git.kolab.org instead of issues.kolab.org. One last item to fix: the link behind the download button. sicherha closed T4154: Bug form is broken in Maniphest as Resolved. sicherha closed T4301: Test bug as Resolved. sicherha created T4301: Test bug. sicherha closed T4262: #kolab on freenode is getting spammed as Resolved. The channel mode has been set to +C +r +s, which should put an end to the spamming. sicherha added a project to T4067: Suspicious user activity in OBS (automated mass sign-up): Engineering & Operations. sicherha added a project to T4262: #kolab on freenode is getting spammed: Engineering & Operations. sicherha raised the priority of T3943: Phabricator is getting spammed from High to Unbreak Now!. Bumping priority. Sorry, but this is ridiculous and needs to be resolved NOW, along with T4067 and T4262. sicherha raised the priority of T4067: Suspicious user activity in OBS (automated mass sign-up) from High to Unbreak Now!. Bumping priority. This is ridiculous - there are currently approximately 300-400 automated registrations, obviously from bots, every week. sicherha raised the priority of T4262: #kolab on freenode is getting spammed from 40 to Unbreak Now!. sicherha created T4262: #kolab on freenode is getting spammed. sicherha closed T4160: Stainless Steel Sheet 430 in stock as Spite. sicherha closed T4166: High quality bitumen decanting machine as Spite. sicherha closed T4172: travel strap factory as Spite. sicherha closed T4178: travel strap factory as Spite. sicherha closed T4181: Active Ingredients manufacturers as Spite. sicherha closed T4184: psa oxygen generator manufacturers as Spite. sicherha closed T4187: ceiling panels materials as Spite. sicherha closed T4190: Wu Shopping Pack Flap Paper Bags With 210gsm White Cardboard supplier as Spite. sicherha closed T4193: wholesale Air coolers as Spite. sicherha closed T4196: boot steering rack manufacturers as Spite. sicherha closed T4199: Bubble Fogger as Spite. sicherha added a comment to T4067: Suspicious user activity in OBS (automated mass sign-up). Just FYI, this is still going on. sicherha closed T3820: Debian 9.0 does not accept SHA1 signature of OBS repository as Resolved. sicherha raised the priority of T3418: Website: link to git.kolab.org instead of issues.kolab.org from 60 to Unbreak Now!. Raising priority. Come on, please fix this - it's ridiculous! sicherha added a comment to T3934: Builds for Ubuntu 18.04 LTS. This is now a work in progress. The repository is there (in Winterfell), but not all packages build correctly so far. sicherha raised the priority of T4067: Suspicious user activity in OBS (automated mass sign-up) from Normal to High. sicherha added a comment to T4049: Recent Kolab 16 packages are signed with wrong/new key. As far as I can tell, the main problem now appears to be resolved. However, the key distributed at https://ssl.kolabsys.com/community.asc is still the old one. sicherha raised the priority of T4154: Bug form is broken in Maniphest from 40 to Unbreak Now!. sicherha created T4154: Bug form is broken in Maniphest. sicherha raised the priority of T4151: Wallace changes encoding of email bodies from 40 to Normal. sicherha created T4151: Wallace changes encoding of email bodies. sicherha closed T4118: China Continuous Spring Mattress suppliers as Spite. sicherha closed T4121: wholesale Professional Hair Clipper as Spite. sicherha closed T4124: High Mast Pole as Spite. sicherha closed T4127: Ice Crusher Machine factory as Spite. sicherha closed T4130: Electric Fence Ring Insulators as Spite. sicherha closed T4133: Button Battery Price list as Spite. sicherha closed T4136: Grade N35 Neodymium Magnets in stock as Spite. sicherha closed T4139: buy Animal Feed Auxiliary Equipment as Spite. sicherha closed T4142: Professional Best Clipper For Men as Spite. sicherha closed T4145: Carrousel Machine as Spite. The current signing-key mixup is not intended - it's an artefact from the upgrade of the OBS software that was performed recently. Unfortunately, the upgrade didn't go as smoothly as hoped for. Most of the resulting fallout has already been cleared without anybody even noticing, but the key issue still remains open at the moment. sicherha closed T4079: Build error Kolab 16 for Debian 8 and Debian 8 plesk as Resolved. Fixed. Thanks for the report. On RPM-based distributions, this can be worked around by using the --nogpgcheck flag. On Debian and derivatives, the signature check can be disabled by marking the repository as [trusted=yes] and removing /var/lib/apt/lists/obs.kolabsys.com_repositories_*. sicherha renamed T4049: Recent Kolab 16 packages are signed with wrong/new key from Recent Kolab 16 CentOS packages are signed with wrong/new key to Recent Kolab 16 packages are signed with wrong/new key. sicherha closed T4055: Wrong public key in Kolab 16 Debian 8.0 repos as Invalid. sicherha updated subscribers of T3943: Phabricator is getting spammed. sicherha closed T4112: Self-Tapping Threaded Inserts with Three Bores in stock as Spite. sicherha closed T4109: Turnbuckles price as Spite. sicherha closed T4106: Xiamen 6 Tons High Dumping Wheel Earthmoving Loader Zl60 Co.,Ltd as Spite. sicherha closed T4103: cheap Cement Mill as Spite. sicherha closed T4100: Bra Case suppliers as Spite. sicherha closed T4097: Bulk Stockinette as Spite. sicherha closed T4094: Customized Industrial Assembly Line as Spite. sicherha closed T4091: ICTI factory Walking Plush Toys as Spite. sicherha closed T4088: China parts of milling machine as Spite. sicherha closed T4085: China intercooler radiator as Spite. sicherha raised the priority of T4067: Suspicious user activity in OBS (automated mass sign-up) from 40 to Normal. sicherha created T4067: Suspicious user activity in OBS (automated mass sign-up). sicherha added a comment to T2274: 5.7.1 <DATA>: Data command rejected. See above for a patch that implements option 2.
sicherha created D593: Add option to drop the caching tables from the database and exit. sicherha added a revision to T2274: 5.7.1 <DATA>: Data command rejected: D593: Add option to drop the caching tables from the database and exit. The above patch was the simple part; now we need a script that gets called when the package is upgraded and drops the respective tables. I assume it's okay to drop the tables whenever the PyKolab package gets an update - please veto if you disagree. sicherha created D587: Enlarge sender and recipient columns in database. sicherha added a revision to T2274: 5.7.1 <DATA>: Data command rejected: D587: Enlarge sender and recipient columns in database. sicherha updated subscribers of T2274: 5.7.1 <DATA>: Data command rejected. Okay, so we have to modify the database schema. In https://kolab.org/hub/topic/260/google-mails-rejected/4 it is suggested that the statistic table should also be altered, which looks plausible to me. sicherha raised the priority of T2274: 5.7.1 <DATA>: Data command rejected from 60 to High. Raising priority because this bug causes data loss: emails are getting rejected. sicherha added a comment to T3943: Phabricator is getting spammed. ... aaand the next wave has hit. sicherha closed T4040: General Centrifugal Fan as Spite. sicherha closed T4037: Permanent Mold Casting process as Spite. sicherha closed T4034: polyethylene protective film price as Spite. sicherha closed T4031: Aluminium And Vinyl Door Sweep Free Sample as Spite. sicherha closed T4028: Customized LED Panel Backlit With Optics as Spite. sicherha closed T4025: wholesale SIM Tray And Case Button For iPhone 6 6 Plus 6s 6s Plus as Spite. sicherha closed T4022: China HOWO Brake Return Spring as Spite.